Great for kids. I have done this with my little cousins in order to keep them occupied, and out of my room! Even though it was intended for the little ones, many of my older relatives also got involved. 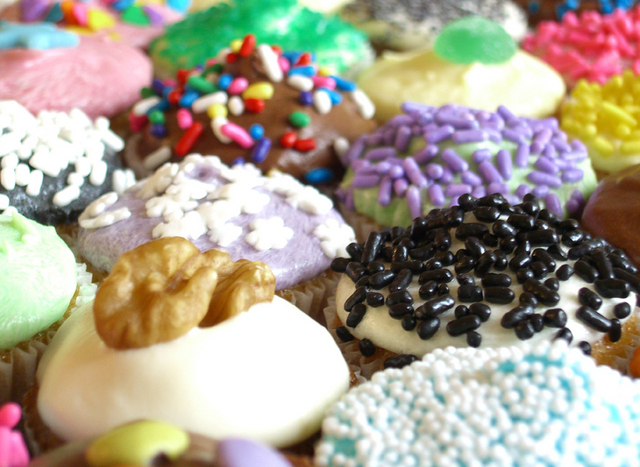 Make a bunch of plain cupcakes (no frosting) like vanilla, chocolate, strawberry, and confetti. 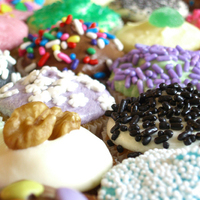 Get an array of frosting options: chocolate, white, pink, green, yellow, red, blue, etc... Also get a bunch of toppings. Don't be dull and go for the typical sprinkled (which are fun), but chop up some nuts, use some candies, be creative and unconventional. Set up a type of buffet. Start with the plain cupcakes on one end, following the icing, then the toppings. Set up a table at the end with chairs and milk set-up for the guests to enjoy. do you have any low calorie recepies? Canicas de Nuez "Marble Nut Cookies"